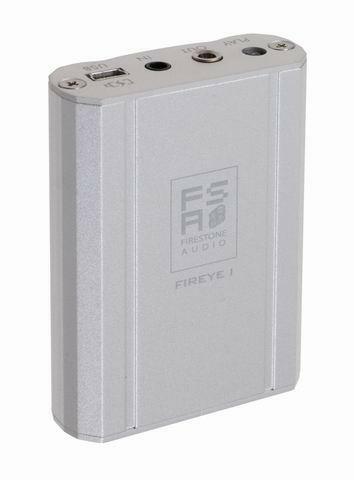 Fireye1 Micro Headphone AMP audio amplifier from Firestone Audio Co., Ltd.
Hi-Fi Amplifier > Fireye1 Micro Headphone AMP > Firestone Audio Co., Ltd.
Fireye1 is a Micro Headphone Amplifier with high portability can use with any kinds of MP3. Adopting inside batter can make consumers use Fireye1 everywhere. Fireye1 is light and handy so it is convenient to put everywhere to use. The shell of Fireye II is made of aluminum looks very high-quality. Only three steps of use can enrich the music and enhance the quality of sound. Manufacturer Firestone Audio Co., Ltd.
Fireye1 Micro Headphone AMP > Firestone Audio Co., Ltd.